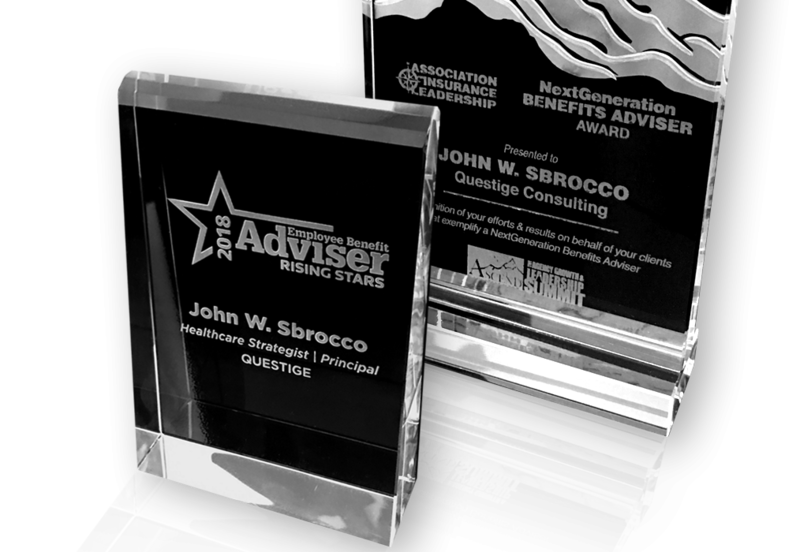 Sbrocco has over thirteen years of insurance experience and is a Certified Self-Funding Specialist. His proven strategies take self-funded organizations to the next level. In July 2017, John presented JS&C, Inc. a surplus check of $85,935 for unused premiums, with a continued spend decrease projection for the next five years. Serving C-Suite executives, John works to ensure that employees maintain quality coverage, while improving the employer’s bottom line. John spoke at many industry events including AIL’s annual ASCEND summit, Workplace Benefits Mania and was recently invited by El Salvador’s ministry of health to tour the country’s state-of-the-art medical facilities for his self-funded clients. Since the new year, John has launched a book with Larry King, The Big Question, is quoted in Breaking Through the Status Quo and will be speaking at The World Health Care Congress in Washington D.C on April 29. Questige is on a quest to change how companies manage the healthcare supply chain. In the past, major providers have handcuffed employers into high-cost, low-value insurance plans that excessively increase with each renewal. The healthcare strategists at Questige focus on innovative and proven solutions that improve clients’ bottom line – without compromising employee coverage. From accessibility to quality, Questige’s advocacy services ensure an enhanced healthcare experience.